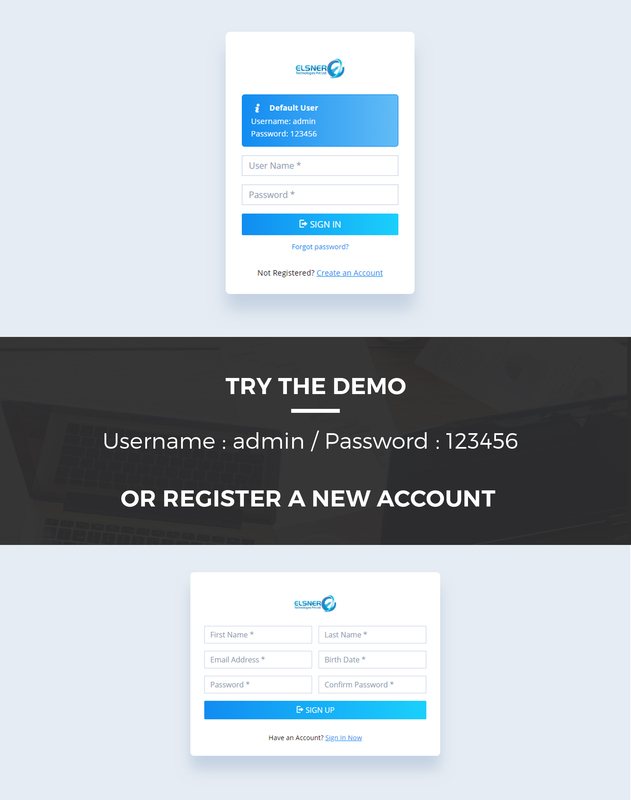 Angular Login Panel with admin and User The script can easily be merged into an existing website. The example pages and scripts (login, registration, forgotten password, etc.) included in the script can be customized to be used in your own website or can fit neatly in to your existing website. 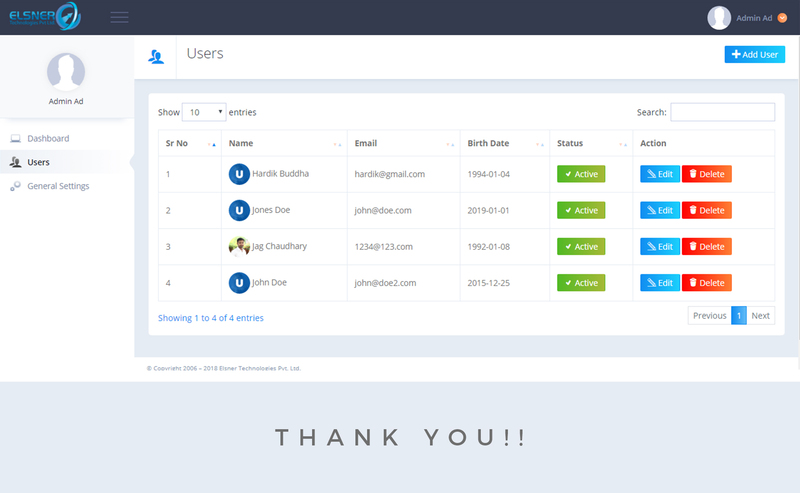 The administration panel allows you to administer your users and change various site settings. As an ad, min you can add, edit or delete users. 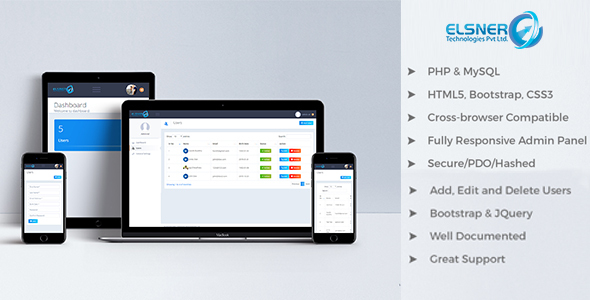 It is built on Bootstrap and is fully customizable. Demo Try the online demo here is the Demo website. Login as admin with username: admin / password: 123456 Support Support is provided by the author. Click on the support tab and e-mail us if you are having any issues with the script or you can post any general queries or observations in the comments section. There are also detailed instructions provided with the script.